The manufacturers of today’s most popular smartphones know success requires coming up with thinner and more capable gadgets every year. The HTC U12+ is a case in point. For example, the 3D glass on the front features borders that are two inches narrower than the HTC 11. It’s a water- and dust-resistant phone too, but does the ultra-thinness make this high-tech phone especially likely to break if dropped? What else is worth knowing about this model? Apple’s iPhone X received a significant amount of buzz for its face-recognition technology. But now, the HTC U12+ has it too. A full rundown of the phone and its features confirms the face unlock aspect is fast, smooth, and even works in low-light conditions, such as when you’re lying in bed. There’s also a fingerprint reader on the back that offers recognition from any angle, unlocking the phone or activating the screen. Most of us are accustomed to pressing the buttons on the sides of our phones to activate a camera or perhaps change the volume level. You’ll quickly break that habit while using the U12+ because it doesn’t have buttons at all. Instead, it uses HTC’s Edge Sense 2 technology, causing the phone to have pressure-sensitive sides. That might sound cool at first, but the tech still needs improvement. That’s because it’s too easy to activate the phone while sliding it into a narrow pocket, for example. Oddly enough, when you need to use the sides to change something about the phone, you might — as other users have — find it takes more pressure than expected to get the job done. This smartphone includes earbuds that automatically monitor your environment and adjust when new disturbances enter it. The bonus music-listening accessories are great if you love getting more for your money. However, there’s a caveat. The HTC U12+ doesn’t have a standard headphone jack or an adapter. The earbuds you get include a USB-C connection, and it’ll be possible to buy a headphone adapter too, but that item might be hard to find. Many smartphones released in 2018 have excellent built-in cameras, and after taking some photos with the HTC U12+, you’ll likely agree it deserves a spot among the best competing options. Expect the phone to give fantastic results in most lighting conditions, including indoors. The optical zoom lets you focus on small details while retaining overall good image quality. This phone also features a bokeh-simulation mode that artificially blurs the backgrounds of pictures for an artistic touch. Whether you’re someone who just likes to use smartphone cameras while traveling or much more often, this phone lets you capture gorgeous photos wherever you go. One of the visual aspects that immediately sets the HTC U12+ apart from other phones is its fully transparent back. That component allows you to see inside, but the part can also fall off too easily, especially when the frame bends, such as when you sit down and have the phone in your back pocket. If the back cover comes off, it compromises the phone’s waterproofing. Plus, an in-depth durability test showed, as previously mentioned, it’s possible to scratch off the pressure-sensitive areas on the sides of the phone with a razor blade. Most people won’t be putting the phone in contact with sharp objects, but it’s enough to raise doubts about whether those touch-sensitive areas will still respond to pressure as readily a year after purchase as on the first day of ownership. What might happen if a person drops the phone so one of the sides absorbs most of the impact? 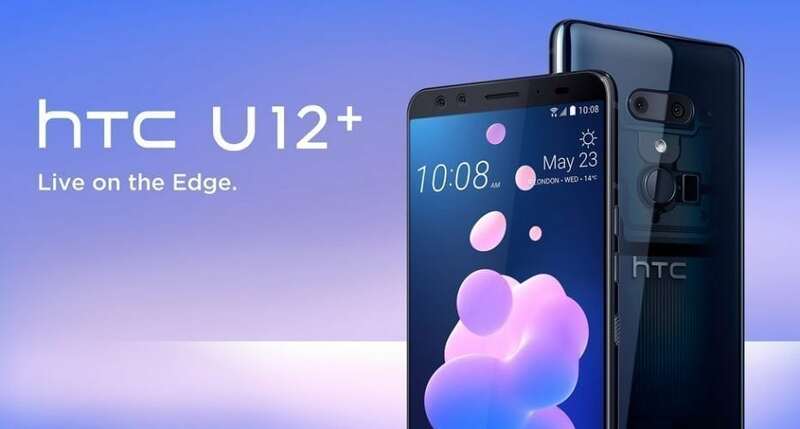 A positive aspect of the design is that HTC improved on its previous phones by adding a buffer layer between the glass and frame of the U12+, making it unlikely to crack if put under bending strain. The HTC U12+ is available now for $799 if you get the 64 GB version. Alternatively, by purchasing the phone directly from the HTC website, you can opt for a financing plan that involves paying $34 per month for two years. There’s also a 128 GB variety that costs $50 more than the 64 GB phone, and the financing plan for that one requires a couple of dollars more per month. This phone arrives on your doorstep unlocked and compatible with the Verizon, AT&T, and T-Mobile networks.